Who still sends postcards? When I was a child I used to go through my mum’s picture postcards box and daydream. Those postcards were my Pinterest and Instagram combined. The postcards my dad sent from his concert tours around Europe, the postcards from distant family members who moved half a world across, the blank postcards from family holidays. That box was my treasure trove. So when I started to travel I sent postcards to my mum and dad and sometimes to my friends too. But I’d also buy several postcards for myself and I’d bring them home. Wherever I went, I bought postcards to take home. They were my most precious souvenirs. It didn’t matter that I took a thousand photos of Paris or Rome or London. I had to buy a postcard too. I don’t remember when I sent my last postcard. It was before I got my first smartphone for sure. What’s the point of waiting for a week or more to get a postcard from someone when you can send a photo via Viber or upload it on Facebook and everyone can see it immediately? But there’s no anticipation and romanticism in Facebook pictures. You can’t store them away in a box for your children to see one day. A year ago I came across a postcards exchange initiative on a travel blog I used to read. I happily signed on and dutifully send my postcards to four other people. But I only got postcards from two people. I even didn’t get a postcard from the postcards exchange initiator. That made me sad. What do you think? Would you be interested in postcards exchange? Maybe if three or four of us agree to send each other postcards? From your travels or from your hometown? If you’re interested send me an email ( trpbtravels@yahoo.com) and I’ll see whether I get enough emails to actually organize a postcards exchange. 🙂 Maybe we could agree to send a postcard during a set time period? 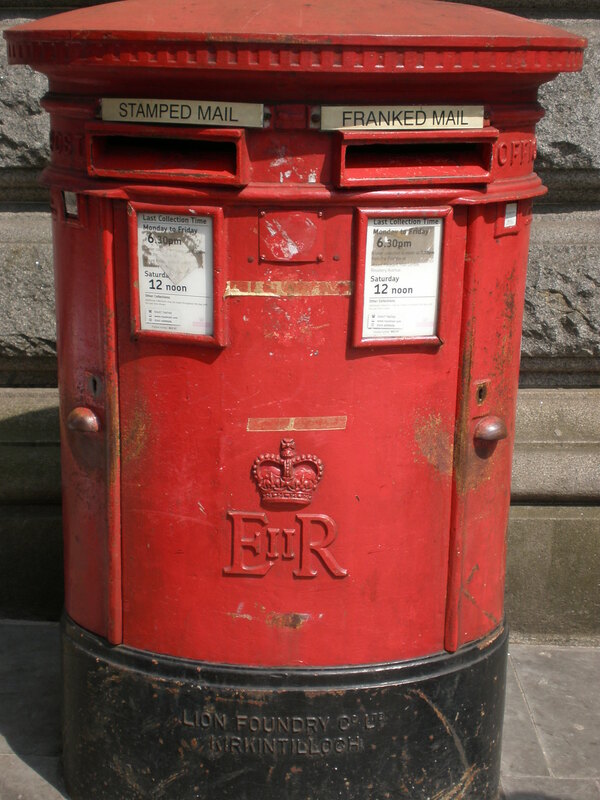 Instead of bills you’d find a nice postcard in your letter box. Wouldn’t that be great? So are you in? Would you like to send and receive pretty postcards? I’d be up for this idea! Great fun, something I do often and I hope never dies. I must admit though I do like doing it with my own pictures to via the Touchnote app! Love this idea! It used to be a highlight for me, sitting down at a cafe and writing postcards…we still send a few, but not often. I’d be up for this! I do love postcards – my parents send them to my son when they go away. Would I join an exchange? Likely not. It’s the price of stamps, and the thought of addressing post cards. I can write a letter and it will sit there for weeks waiting for me to write the addresses on it. I buy a postcard every place I stay – black and white if I can find it, or else a night scene. I’ve got so many of them now I need to buy some frames! 🙂 really? it took them that long to arrive? My mum used to encourage me to buy postcards as the photos were so much better than any we took! I often see postcard stands here in Ireland and in France (where I’m from) but not sure who buys them and send them. I still like to send postcards sometimes, but it’s a dying habit – along with writing letters. What will historians of the future do without this valuable resource?! I’m not sure that Facebook etc will be quite the same – even if it’s available. Aw I love this post! I actually still writing and sending postcards for my mum or even for myself every time I travel. Eventhough I will arrive home faster than my postcards, but the feeling is so great when I got them on my hand and reminiscing the little memories during that last trip. 🙂 but it was still nice when you got them? I send a postcard to our secretary and in our office on a wall are a reminder of all our trips! I love sending the postcards and she loves receiving them! It’s years since I’ve sent one and I used to enjoy it too. I think, with all the blogging and social media, to sit and write postcards would take too much time but that’s sad isn’t it. My favourite ones when I was little were from Spain where they had extra lace attached to the pictures of the flamenco dancers, to make it look like a real skirt. I’ve never done much sending of postcards I’ll admit, but I will write letters to my friends and family from time to time–I love a good old-fashioned letter! We do when we’re away and they all love receiving them instead of a WhatsApp message or email. I love sending postcards and am a member of Postcrossing. It’s great and a secure option for taking part in the scheme. It’s lovely to receive a card at random from somewhere in the world and to put a smile on someone’s face when my card arrives at a distant shore. Take a look at the Postcrossing website fore more details. Kind Regards. LMT. So true, no one sends postcards or letters! And do you remember pen pals?